Walliserops trifurcatus is a weird looking creature. It’s a Trilobite, which is a kind of Arthropod that existed in great numbers from the Cambrian period (541 million years ago)to the end of the Permian (about 250 million years ago), long before dinosaurs evolved. They were so prolific, and there were so many species of trilobites during their heyday, that they practically ruled the world. 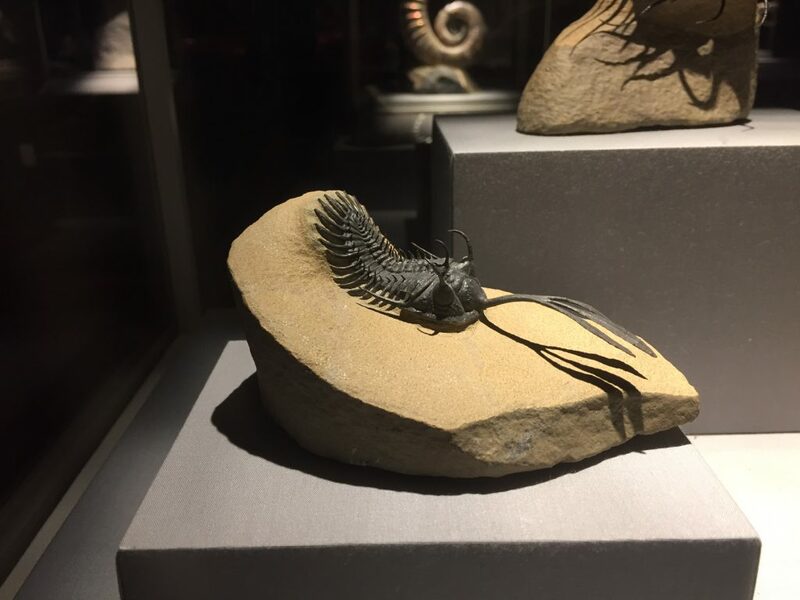 The largest Trilobites are more than two-feet in length, but the Walliserops in our Hall of Paleontology is only about three inches. But don’t let its small size disappoint you, because our example is a true rarity: a fossilized mutant! Walliserops trifurcatus gets the first part of its tongue-twisting name fro a professor in Germany (O. Walliser) but the second part of the name refers to the “trident” feature sticking out of the front of its cephalon (head). The purpose of this weird structure is a mystery of paleontology, with theories ranging from it being used to lift the animal off the sea floor to it being used to impress females. Nobody knows for sure. But one thing we can be sure of is that the example pictured above does NOT have a trident on it’s head, it has a four-pronged protrusion! Could it be a new species? 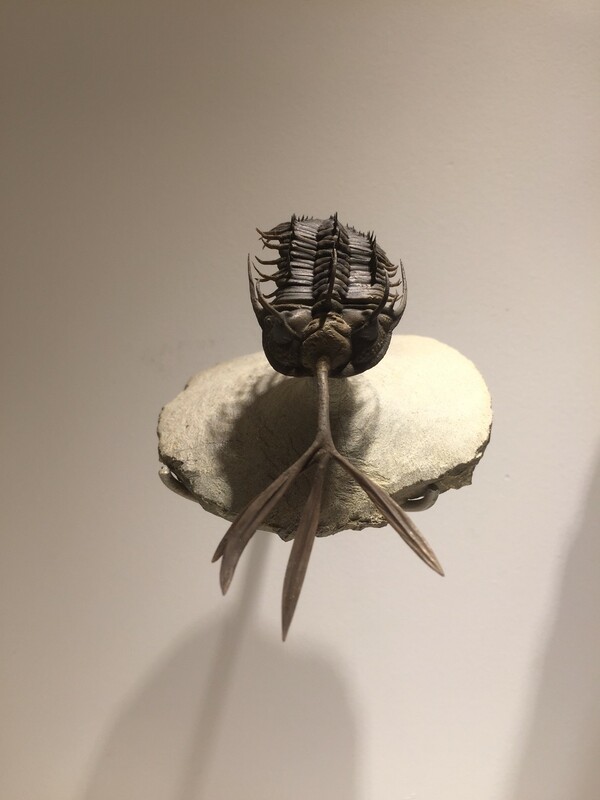 Almost certainly not because like most other animals, trilobites exhibit bilateral symmetry, which means that there are an equal number of limbs/structures on each side. Imagine if you saw a deer with three antlers. Even if the deer belonged to an unfamiliar species, you would probably assume that the deer had a mutation. That’s exactly what we believe about our little trilobite.